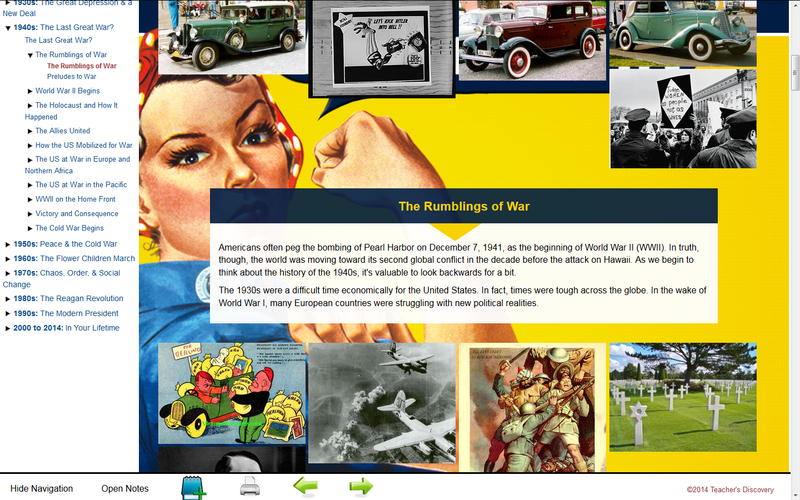 U.S. History is a fascinating subject that is filled with interesting characters, world-changing events, and critical moments that have changed our lives forever. But many students have a difficult time connecting with the subject when learning out of a traditional textbook. To them, names and dates are just words on a page. That's where Voces® comes in. 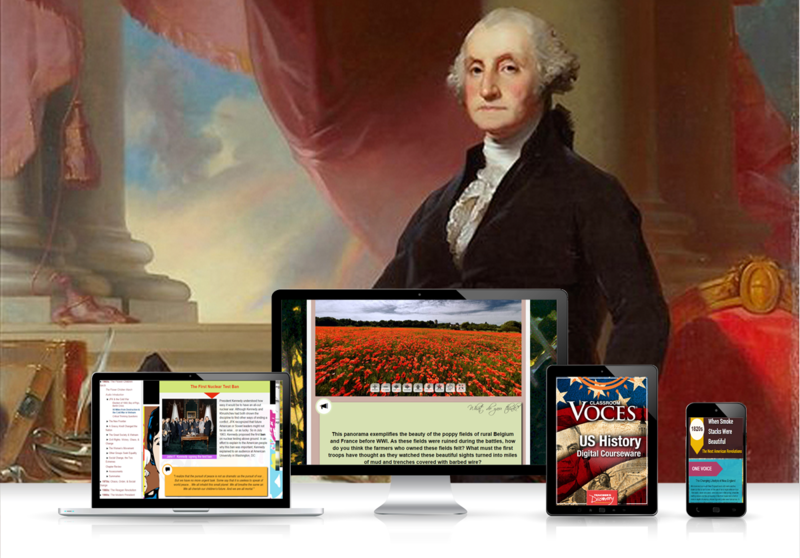 Voces® is a fresh approach to teaching that engages students and draws them into the stories behind important historical events. 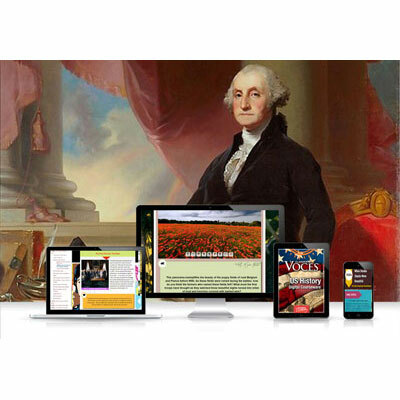 Instead of just memorizing information out of a book, your students will engage with our revolutionary program which features video, audio, and over 10,000 images. 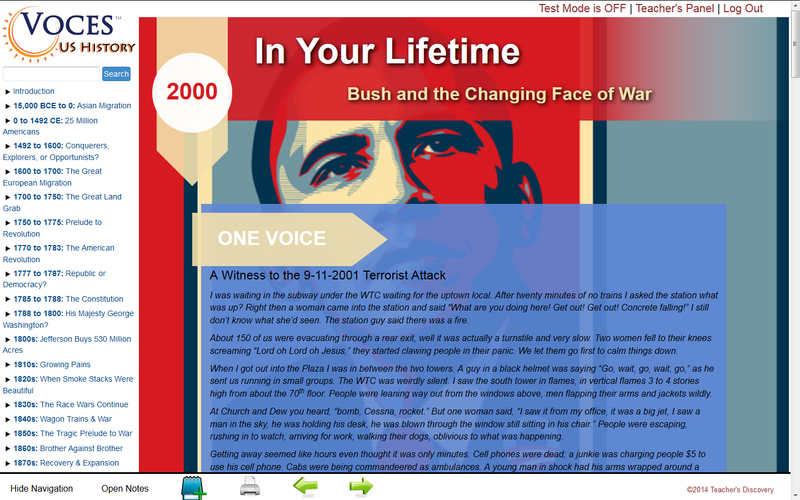 Your students will learn about the key moments in U.S. History—from pre-Colombian times up through the current Obama Administration—and will hear firsthand accounts of events from the "voices" of people who experienced it! Students will be active participants in their learning experience in a way they never have been before. Applicable to all Voces® titles. 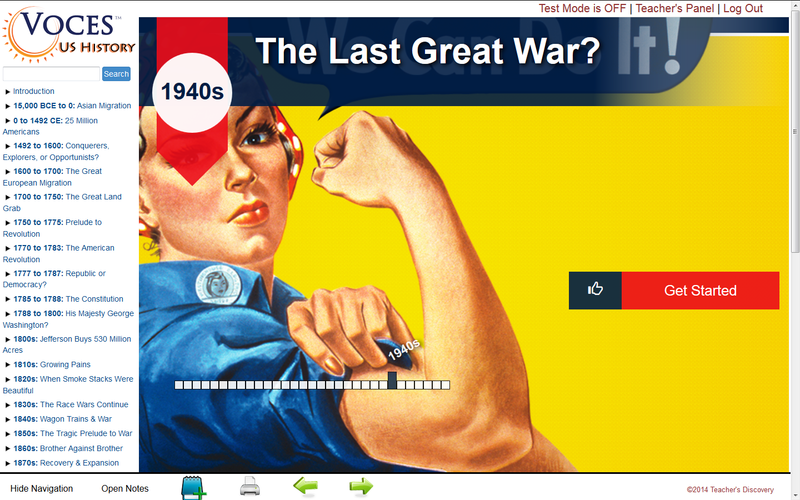 Try Voces® U.S. History in your classroom today, and see the difference! Click here for a FREE 10-day Trial.